CASCADE TECHNOLOGIES SECURES COLOCATION SPACE IN DALLAS, TEXAS! DALLAS, TX: This week, Cramer Snuggs, CEO, and Chace Corbett, President, visited Dallas, Texas on behalf of Cascade Technologies, in an effort to locate a reliable, secure colocation to start migrating our Customer Operations to. After touring several different locations, our founders have chosen the Dallas Colo to slate for our new home! 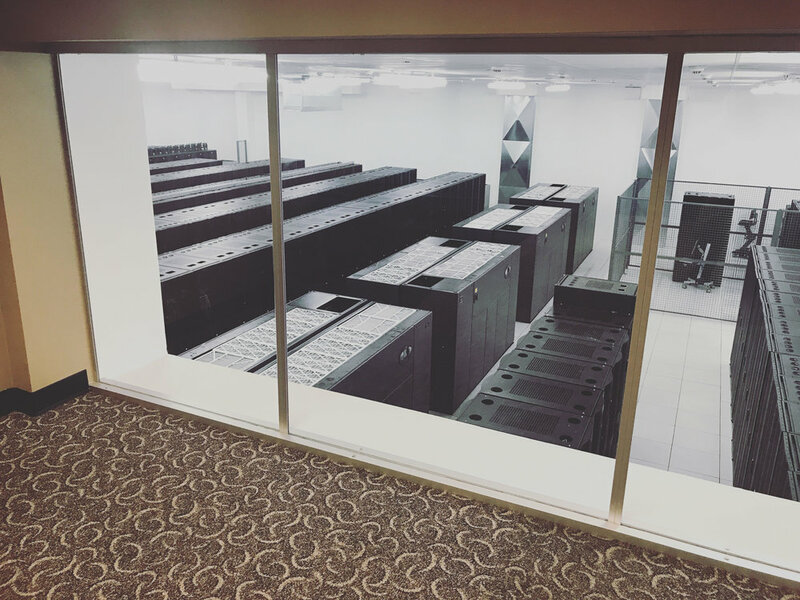 We will be utilizing the datacenter in Dallas, Texas to store off-site backups for all of our clients as well as hosting IaaS packages for some of our larger customers. We will be delighted to provide our customers with tours of the facility at any time! The addition of the new datacenter just continues to build the redundancy and reliability of the Cascade network and name! Cascade Technologies toured several colocations while in Dallas, Texas. While we were blown away by all of the facilities we visited, we decided to go with Dallas Colo for several reasons. Below is a list of some of the advantages of going with Dallas Colo, as well as the Dallas, Texas area. Texas is the only state in the union that can boast its own private power grid. Meaning, if you buy power in Texas, you are not sharing it with any other states. California, New York, New Jersey, Virginia, Chicago and Miami all have power grids that share with other states. Couple that with North Texas' low risk of natural disasters and you have a perfect location for a primary and/or secondary data center site. Price-per-watt costs in Texas are relatively low and stable, allowing Carrier-1 to keep costs low and stable. Energy costs are currently at a record low. Doing business in the area is affordable also because a cost of living that's 98.9% of the national average (Forbes, 2012). Low cost of real estate and tax incentives also play a role in savings over other markets. Better pricing for Carrier-1 means lower rates and higher margins for our colocation customers. Dallas boasts one of the lowest levels for natural disasters. It's not a natural flood zone. Hurricanes are weak and toothless by the time they (if ever) make it this far north. Snowfall usually melts within a day or two and there is a 1,400-mile buffer zone that separates Dallas from Californian earthquakes. In fact, Dallas experienced 79 percent fewer earthquakes than the national average. Other markets are not as fortunate. In addition to offering primary data center colocation space, Carrier-1 offers secondary colocation space for disaster recovery purposes as well as a 10,000 sq. ft. Business Continuity Center, furnished and connected office space for personnel as backup. Dallas has among the lowest latency anywhere in the country. Carrier-1 has a presence in multiple major telco hotels in D-FW. The Dallas Infomart building is the hub of connectivity for the Southern U.S. Nearly all IP traffic for the entire state of Texas flows through it. Carrier-1 has a presence in this building through the meet-me-room provider, Equinix, which grants customers access to over 100 network providers. Network providers also have direct connectivity within our Carrier-1 data center. North Texas is the most central major metropolitan areas in the United States. Dallas maintains not one, but two large airports. This means more flights to more destinations, and more competition means cheaper airfare. Simply put, traveling in and out of the Dallas-Ft. Worth Metroplex is quick and easy. Dallas has the sixth largest metro GDP in the United States. The D-FW Metroplex has one of the largest concentrations of corporate headquarters in the United States, including 24 Fortune 500 companies, 38 Fortune 1000 companies, 10 companies listed among America's Largest Private Companies (Forbes, 2012) and 147 headquarters of companies employing at least 1,000 globally including AT&T, Hunt Consolidated Oil and 7-Eleven. Major industries in Dallas include defense, financial services, information technology, life sciences, semiconductors, telecommunications and transportation. A strong economy brings talent. The Metroplex adds an average of 187 new jobs daily, maintaining 48% of Texas' high-tech workforce. According to recent studies, Dallas is estimated to be the fourth largest multi-tenant data center market in North America. The robust, diverse economy of the area keeps enterprise demand for data center space (both wholesale and colocation) high.